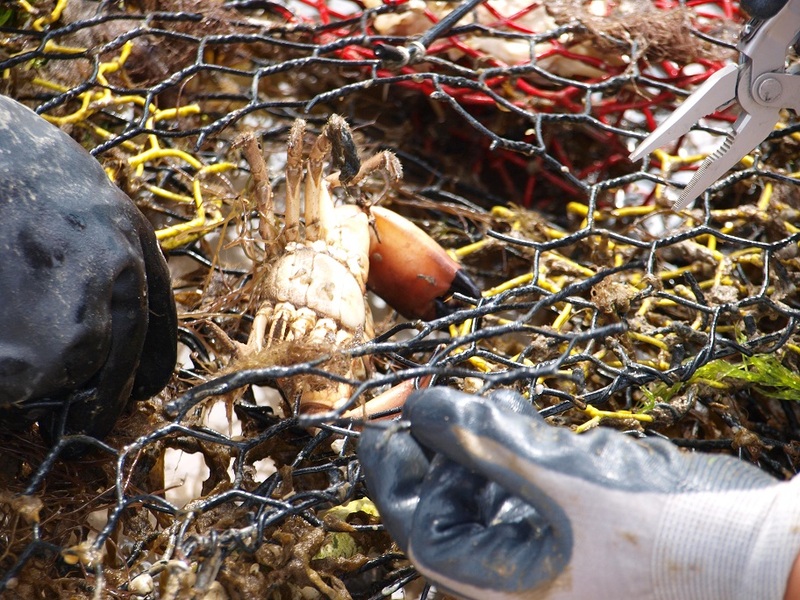 Lost and abandoned crab traps become hazards to marine life in Texas bays. 06— We are particularly concerned because of the ghost fishing effects; they continue fishing unmaintained. When something gets in the trap and dies, it acts as bait, attracting more marine life, which in turn suffers the same fate. Art Morris is with coastal fisheries at Texas Parks and Wildlife, and coordinates the annual cleanup of derelict traps. 12— And what we do once a year in February, is get volunteers together up and down the coast, and we try to remove all those traps that have been lost, or vandalized or whatever that are potentially ghost fishing. Volunteers have removed more than 31-thousand traps in the cleanup’s 14 year history. This year’s cleanup is February 20 through March 1, with a big one day push on February 21. And Texas isn’t alone in its efforts. 12— And we’re particularly excited this year in that we have a joint closure in Sabine Lake with the state of Louisiana, and we’ll be using joint efforts there to remove traps from the Louisiana side of the lake. Find details on the cleanup and volunteering, on the Texas Parks and Wildlife website. The wildlife and sport fish restoration program support our series and is funded by your purchase of hunting and fishing equipment and motor boat fuel. This entry was posted on Monday, February 16th, 2015 at 12:00 am	and is filed under Conservation, Crab Trap Cleanup, Events. You can follow any responses to this entry through the RSS 2.0 feed. You can leave a response, or trackback from your own site.